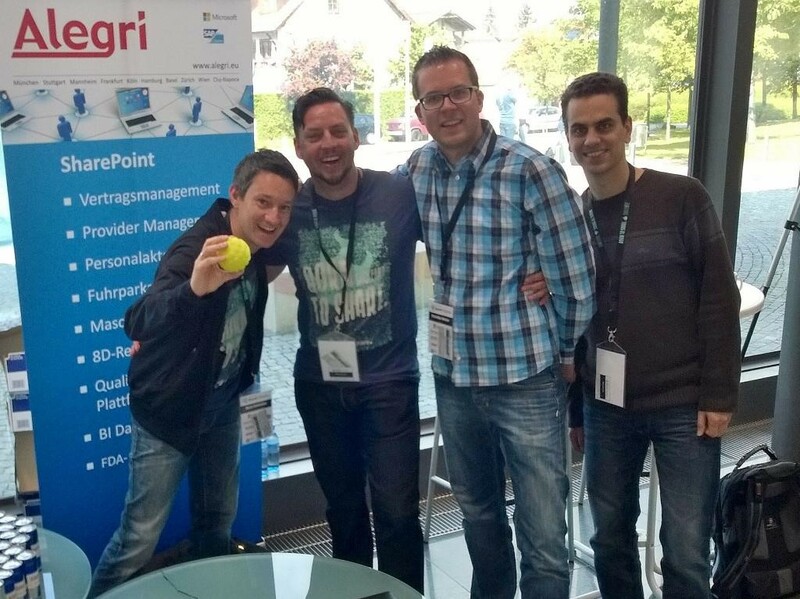 Germany’s latest and greatest SharePoint community event was last weekend (30.05.2015 & 31.05.2015 at Microsoft in Munich) - and it was awesome, once again! So what sessions did we have this year? A lot of them. Here is a list of the sessions I attended or prepared. On Saturday I held a presentation about Azure Search. The title was on purpose a little bit baiting, you can’t compare the incomparable here and that’s good. But I started with a brief overview what SharePoint Search is, how it evolved and talked about its strength and weaknesses. Then I switched over to the brand new Azure Search I evaluated for a client project. And showed a demo app that is (Sourcecode) available here. Basically I showed the entire Azure Search workflow from service & index creation, pushing documents via SharePoint to Azure Search - and the options you have to get items back out of it. I had good fun. So much, that I presented the session again on Sunday 🙂 Here I showed a second demo (available here) that indexed a local folder and pushed the filenames and paths to Azure Search. Does that sound familiar? I tried to cover some of the typical SharePoint content sources: SharePoint Content and Fileshares. It’s not even close what I showed but similar. Where is the content? The content will be stored in Azure Search / Cloud. Can you index Office Documents? Yes, but you need to extract the content of the files. How about item security? If you want them, you have to build them. Azure Search has a different focus than SharePoint Search - keep that in mind. Different product, not a replacement! Can you push items to the cloud? YES!!! How you get the items back? You get them via the REST interface and they are transported as JSON. Can you combine SharePoint Search and Azure Search? Not out of the box - you would need to create an opensearch provider that translates the JSON to opensearch compliant XML. Is it ready yet? Yes, definitely. But I have the feeling Azure Search will improve rapidly in the near future. My slides (German most of it) are available here - but as usual they are not as good without the demo. Expect some blog posts here, I really like Azure Search! Slides will be available once I get the link. The ShareCamp evergreen, I think it’s the 4th time that we had this session at a ShareCamp. I am into tools and this session is about tools - so what could go wrong?! My friend Henning Eiben moderated a really entertaining session with lots of idea sharing and tool discussions. I think we gathered and introduced about 50 tools - commercial or Open Source that every SharePoint developer or IT-PRO should know. ULSViewer, SPDockit, CamlDesigner, SPServices, CKSDev, SearchQueryTool, LogParser, AutoSPInstaller family, SharePoint Patch Service - just to name a bunch! Dont be a fool - use a tool! Henning collected a lot of the tools in a delicious feed - go take a look! I only attended the very last 15 minutes. Too bad, it must have been awesome. At least I heard that many of the attendees said it was their highlight. 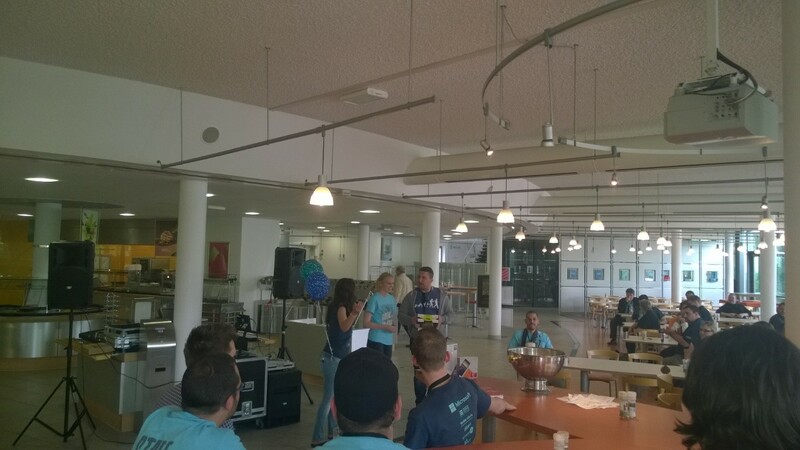 Okay Patrick Heyde (Microsoft) had some advantages: Firstly he had 3 hours to show how to provision a SharePoint environment on Azure and the experiences he collected over the past 4 years in his role - and he “bribed” the attendees with 75€ Azure vouchers to play with it. 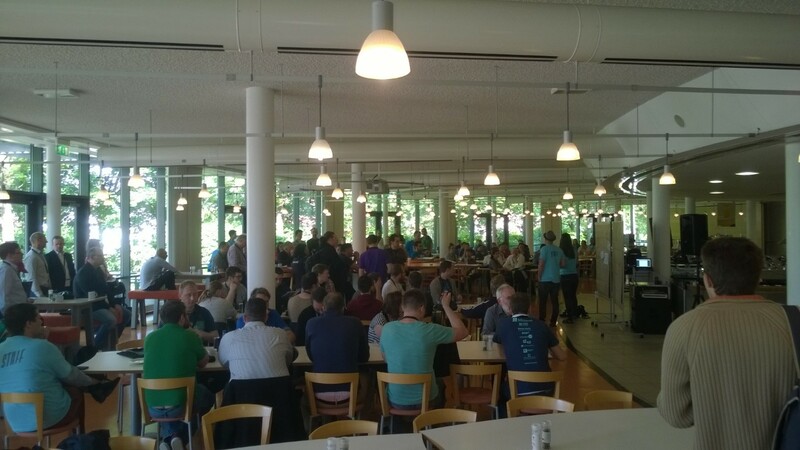 Too bad there were so many sessions in parallel - there will hopefully be a next time! The weekend was packed and I learned a lot - I totally enjoyed it. I am really looking forward for next year! 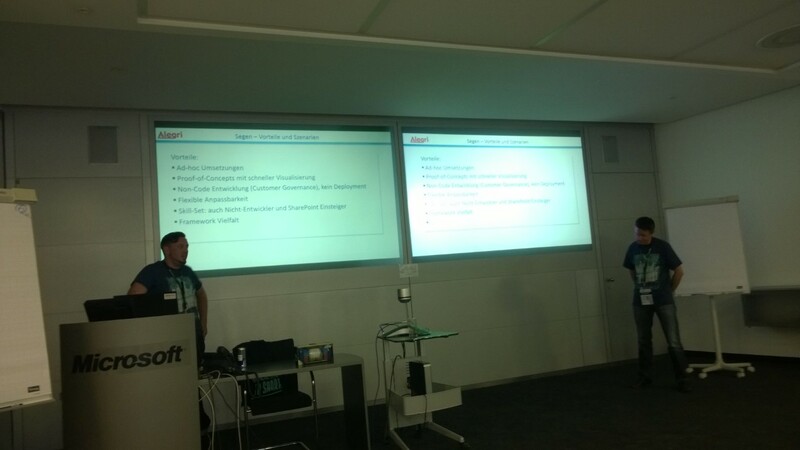 Thanks again to all sponsors, organizers and speakers - Germany’s SharePoint community would not work without you! 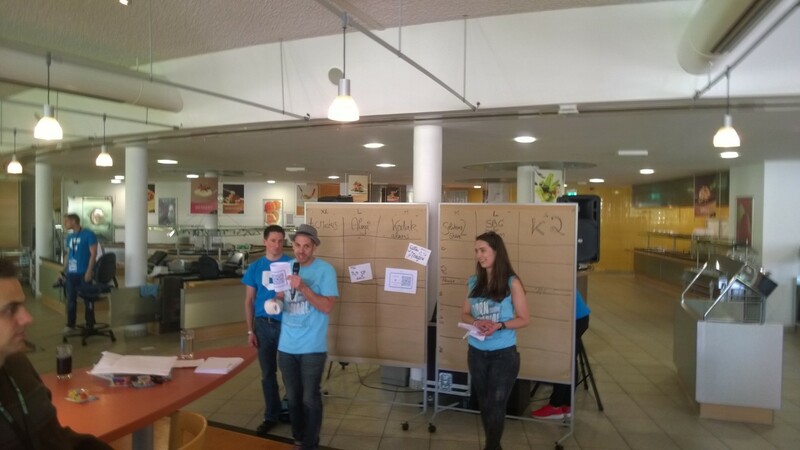 ShareCamp raffle - lots of prices and gadgets! Ignite 2015 Recap – with SharePoint Search in Mind! AzureSearchTool – the easiest option to query Azure Search!